Federal Tires was founded in Taiwan in 1954. That’s when the company’s commitment to providing high-quality tires with impeccable service began. Federal Tires matches state-of-the-art technology and adherence to safety standards with dedication to customer satisfaction. That’s what makes it a leader among tire companies. “Always Innovation” is their motto, and it shows in their product line. Federal Tire provides a wide-range of high-quality tires. From the serious performance enthusiast seeking the ultimate in high-speed handling to the Sunday driver looking for a safe, economical tire, there is an option to meet every need. Read more about the many Federal Tire options below. Then be sure to contact an Action Gator Tire expert to help you select the right tire for you. Ideal for coupes and sedans, Federal Tire passenger car tires are made for all kinds of weather conditions. They are designed for a quiet, comfortable ride and improved fuel economy while also delivering superior handling and control. Federal Tire has the tire for your next big adventure. Performance meets style in the Couragia Adventure Series. Federal Tires have designed a product for optimal maneuverability, comfort, and a smooth ride while meeting the needs of a top-heavy SUV. They also have a touring tire in addition to an option for off-road rugged adventures, perfect for mud and snow. If you’re looking for a durable, long-lasting tire for your workhorse vehicle that can also withstand heavy loads, then Federal Tire has several economic options for you to consider. They have tires suited for light work trucks and light commercial vans. Looking for a year-round tire, suitable for wet and dry road conditions? Want a product that you can drive in the summer and the winter? Federal Tire has a range of premium tires designed to keep you safe and on the road all year round. Get more info on the all-season tires available from Action Gator Tire. The Formoza GIO is an excellent all-weather option for your passenger vehicle. Its features deliver superior handling, low noise, and safety in slippery road conditions. If you’re looking for a tire for your luxury sedan, look no further. The Formoza FD2 is the tire designed for your luxury vehicle. It has performance and style while also providing a smooth, safe ride. A newer release to the Federal Tire product line, the Couragia XUV is an all-weather touring tire designed for your SUV. A long-lasting tire that wears evenly, its grooved design expels water and resists hydroplaning. It delivers a comfortable and stable ride in wet or dry weather conditions. If you’re traveling in winter, be prepared with the Federal Tire winter series. You’ll want to be sure you’re secure when driving on ice and snow, especially if you’re not used to driving in winter road conditions. With winter tires from Federal Tire you can drive with confidence knowing you have what you need to control the road. Traveling north? Get your passenger vehicle ready for icy, snowy, and wet road conditions with the Himalaya WS2-SL. 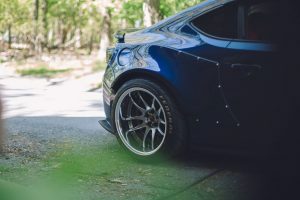 Whether you’re on the race track competing, or an serious enthusiast, Federal Tires has a commitment to providing the best in extreme performance tires. Find out how well your vehicle can perform with these premium products from Federal Tire. Contact the pros at Action Gator Tire to learn more about which performance tire is right for you. A tire for sport sedans and coupes, the Evoluzion ST-1 is part of the Ultra High Performance Series. The smart, yet delicate, design grips the road in wet and dry conditions. You can count on the Evoluzion ST-1 to provide stability and safety at high speeds with impressive cornering.